Today I am going to walk you through cold composting which is composting kitchen scraps and yard waste this year into rich, beautiful soil for next year. Have an old log laying around your yard? They make wonderful planters when you hollow them out and add little knobby pieces of old paving bricks as legs to hold them steady. 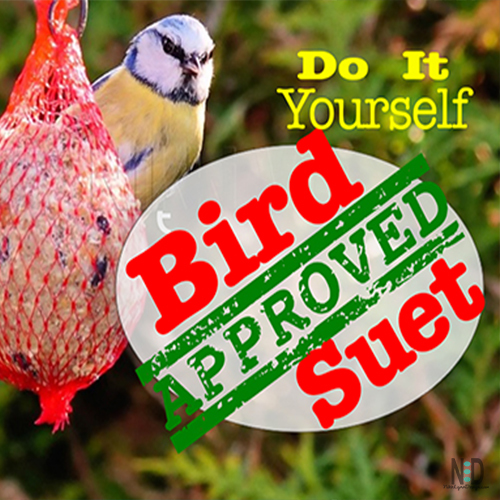 Make your own suet recipe to feed the birds. There are a slew of items that you can serve suet in to keep your birds happy year round. 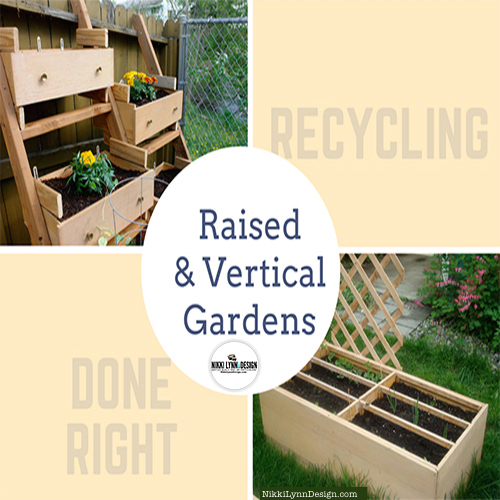 Looking for a garden planter that can occupy your empty wooden fence space? 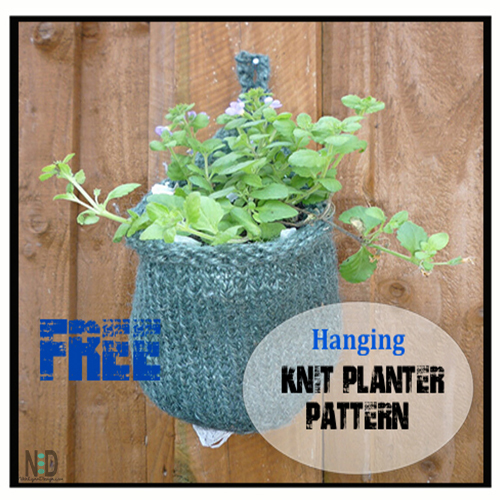 If you knit, try making this hanging knit planter basket. 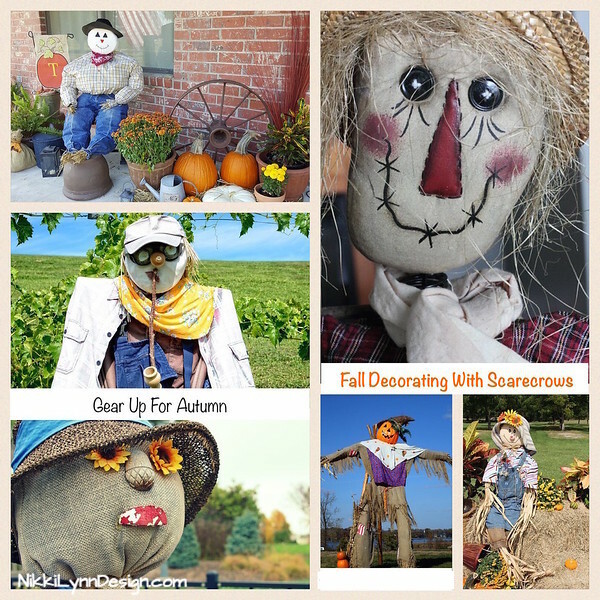 A collection of outdoor scarecrow ideas from my private photography files The scarecrow ideas for fall collection is finally making it’s way out of the darkness and into the light. Just in time for fall decorating. My favorite season is fall! My so glad I live in a world that has the month of October. 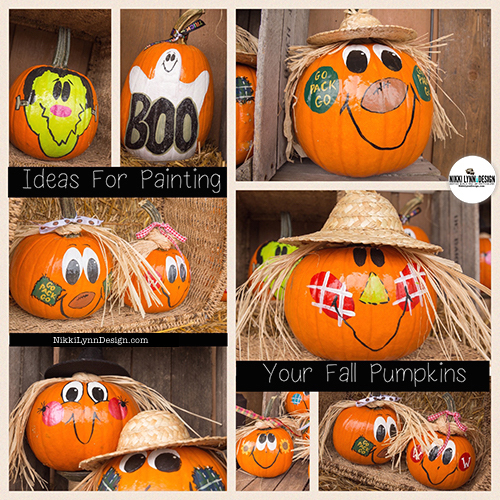 I love wearing warm fuzzy oversized sweaters, the fall colors and making painted pumpkins for fall decor. 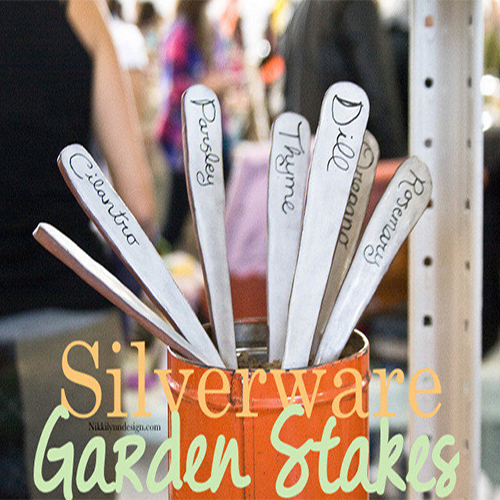 Let’s make some recycled silverware garden stakes! 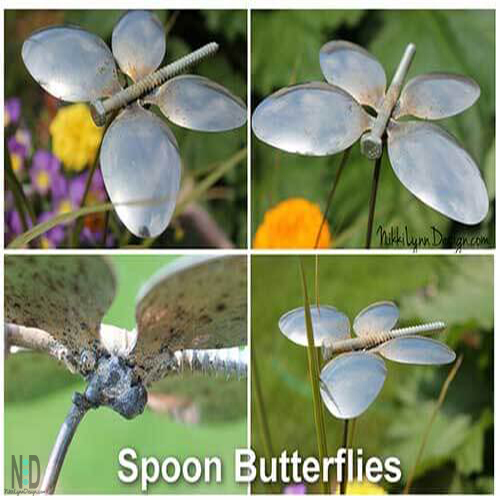 Make this cute garden butterfly from recycled spoons for your garden ornaments in a matter of minutes. 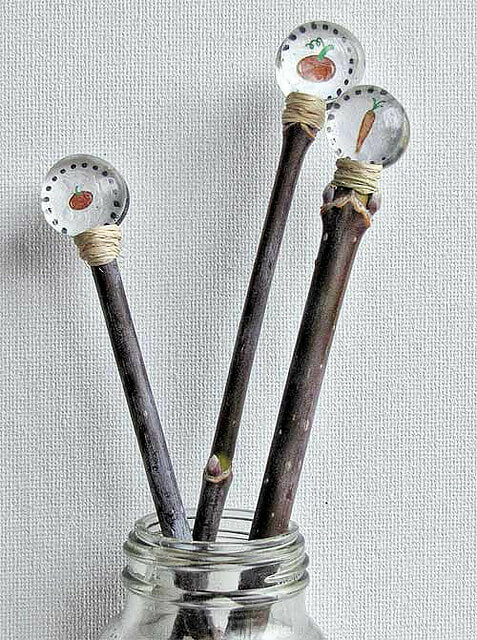 A collection of garden crafts made from wood or sticks that you can make by collecting FREE resources. 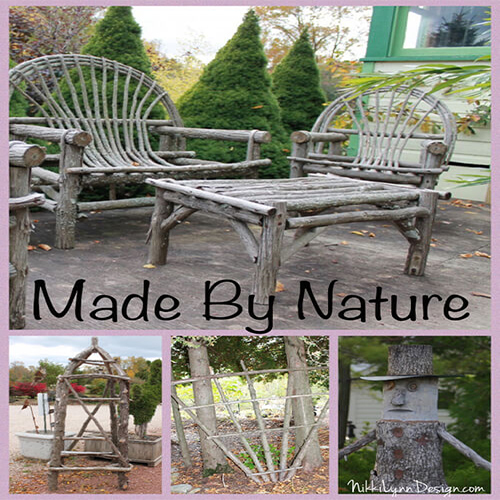 Add visual appeal to your garden by using wood and sticks from nature. 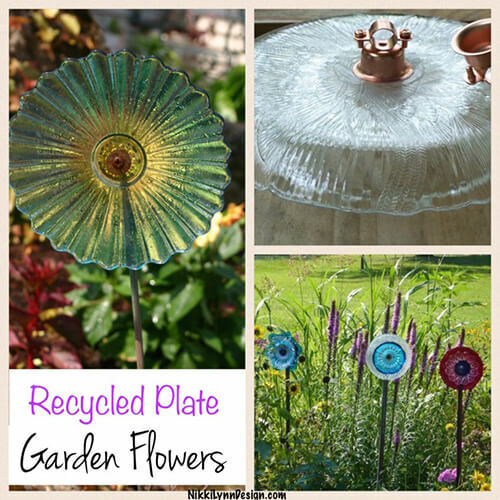 I have seen recycled plate garden flowers in high upscale galleries in tourist towns, like Door County, Wisconsin for a few years now. The price tag on the glass flowers is outrageous. Generally running almost $50.00. So, I set out to learn how they were made and try my hand at making my own. 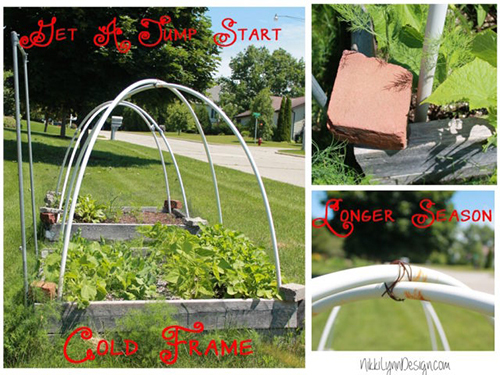 Ladies, you can even build this seedling cold frame project! It is extremely easy. 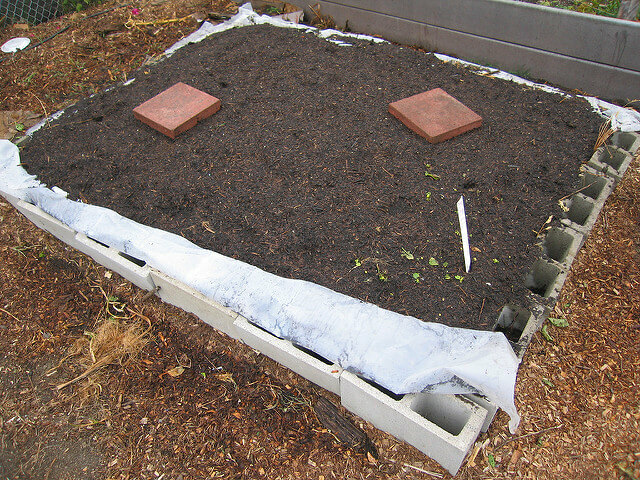 This DIY cold frame garden box was designed for garden boxes in areas of the country that receive frost. 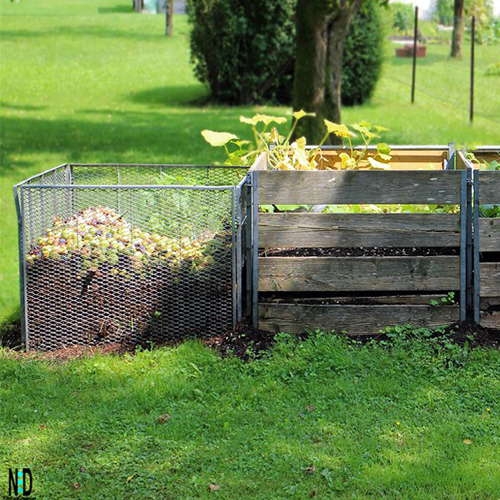 You can plant your vegetables earlier in the season and maintain them later in the season as well. Need to block off an area? Still would like to have useable space? A cinder block garden wall could be your solution. 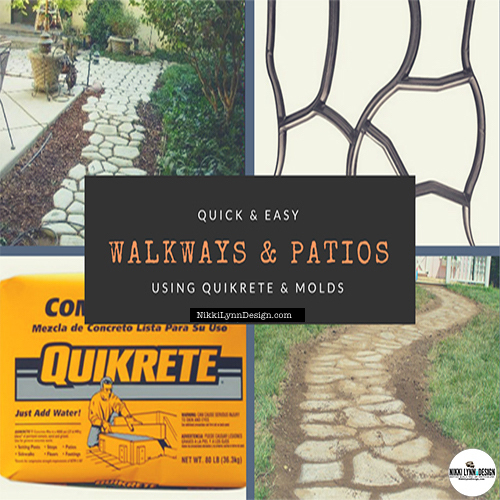 Easy stepping stones for the garden. 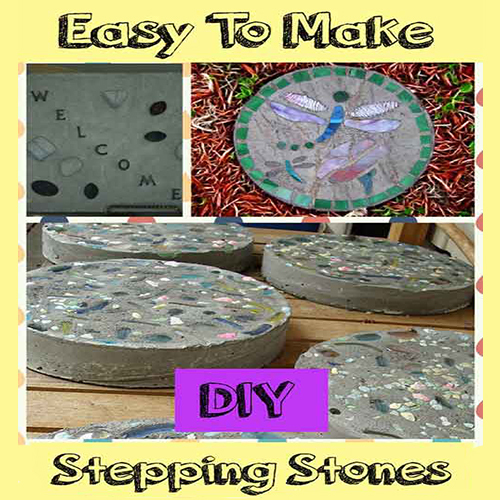 Creating garden stepping stones couldn’t be this easy, could it? It is so easy that a group of 12-year-old children could make them and give them as gifts, and they did. 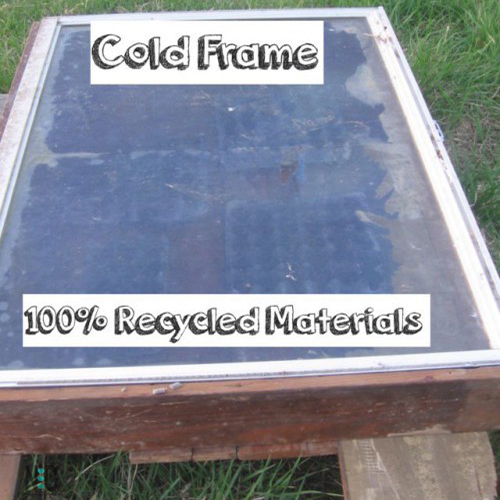 Need a cold frame storage solution in a hurry? 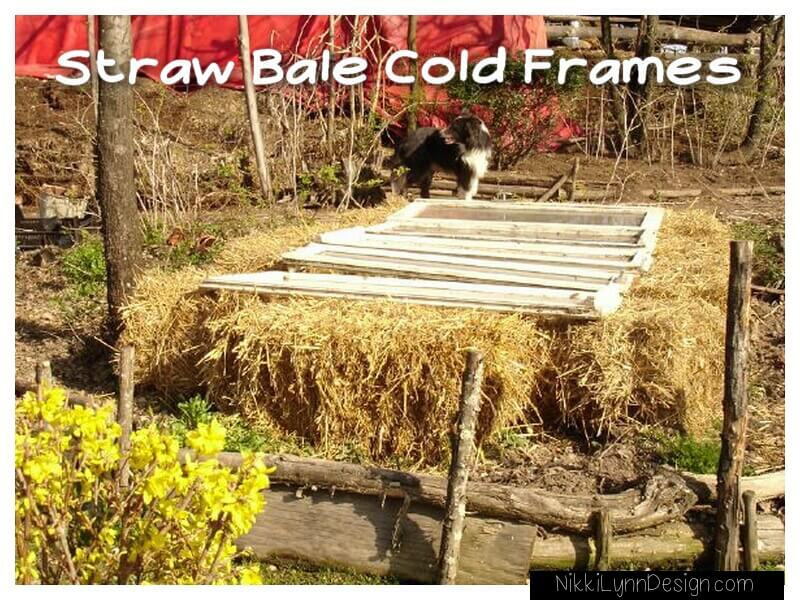 Take a page from a Hard Working Hillybilly’s book for this DIY straw bale cold frame. He is a genious! 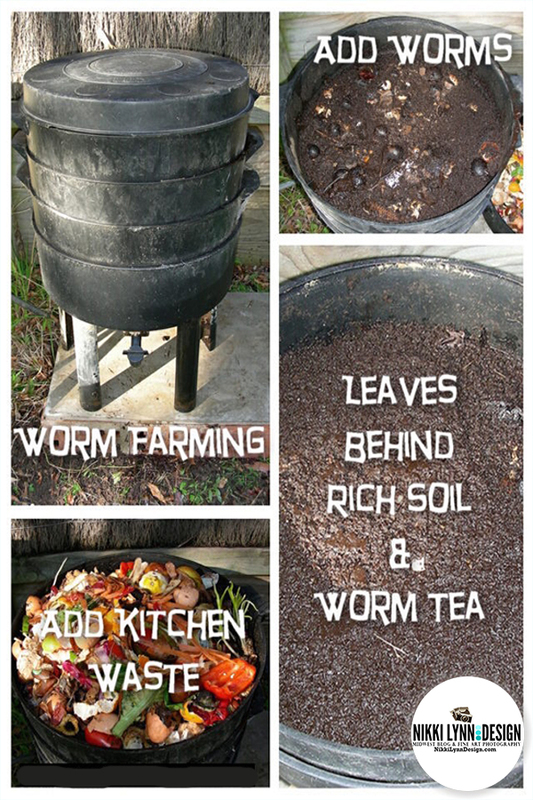 Have you heard about composting with worms? Vermicomposting? Worm farming? 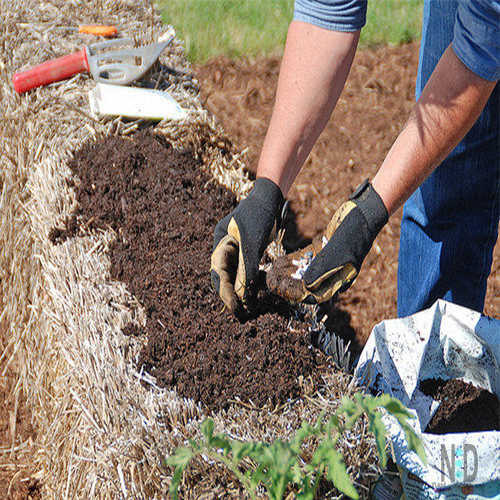 It is a wonderful eco-friendly way to create nutrient rich vermicompost. Plus, worm tea for your soil. I am wholeheartedly committed to growing all the fresh produce that I can this growing season. This led me on a hunt to locate ways to achieve my goal. A straw bale garden is my solution. 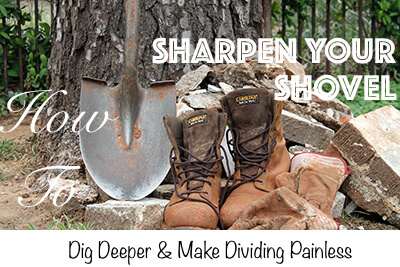 Spending 5 minutes of time per year sharpening your garden shovel can eliminate your backbreaking work by digging deeper and dividing painless. 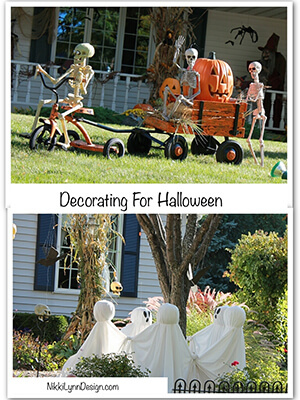 Decorating your yard for Halloween ? We all have that neighbor. You know. The one neighbor that when they do something, they go all out. This is the house in our neighborhood! It may spark some ideas for you, too. 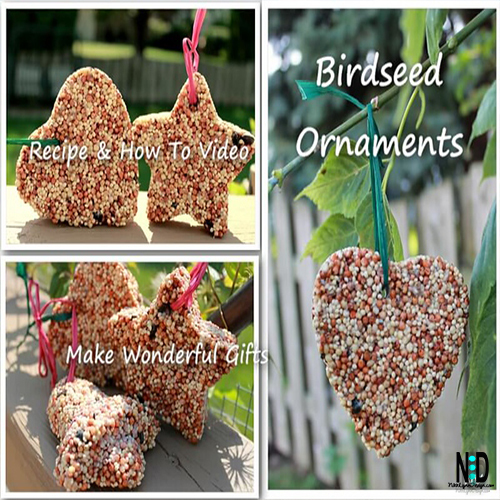 Follow the recipe for these birdseed ornaments and the next day you have a sweet treat for your birds. The ornaments would make wonderful holiday gifts for friends and family as well as wedding favors for your guests. My husband replaced the pull start for our lawnmower and I was lucky enough to be able to videotape him to share with you. This project is simple and really cute! By recycling a vase, bowl and decorative pieces of glass or broken plates you can create your own DIY toadstools for your flower garden. 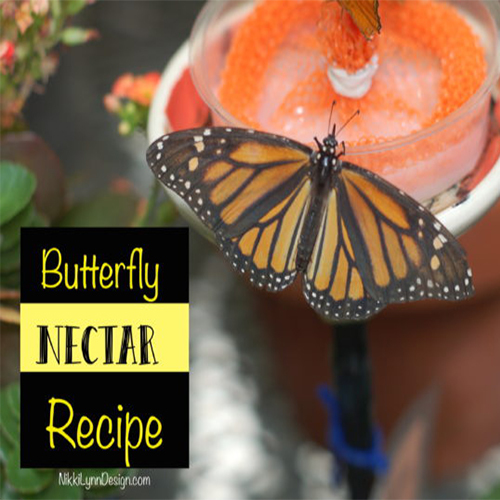 Looking for a way to remember what you have planted in your vegetable and flower gardens? I have a cute DIY project for easy to make garden stakes. How to change the color of hydrangeas. Yes, for the most part you can change the color of hydrangeas, with the exception of white hydrangeas. How to Build a Terra Cotta Clay Pot Garden Person. 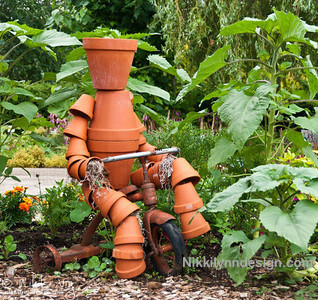 This is a creative way to spruce up your garden and use chipped or repurposed terra cotta pots. There is no “wrong” way to build a terra cotta clay pot garden person. Water seems to have a soothing, magically calming affect on the body. It is beautiful, sparkling, and gentle. 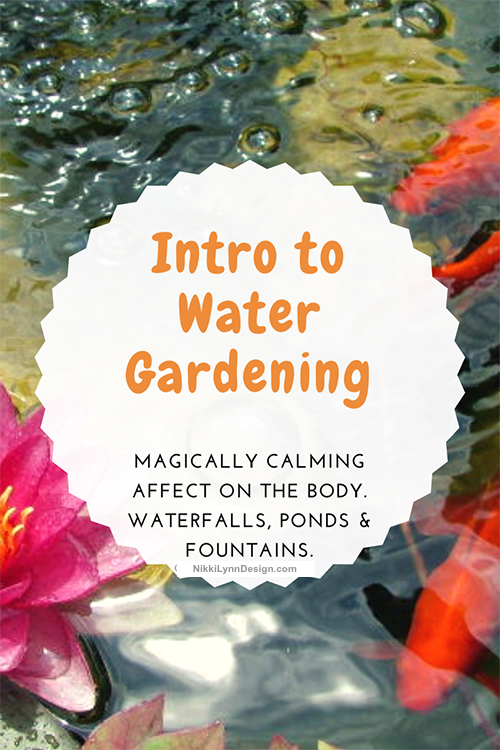 Water gardens can add interest to an otherwise bland backyard. They can include waterfalls, ponds and fountains. 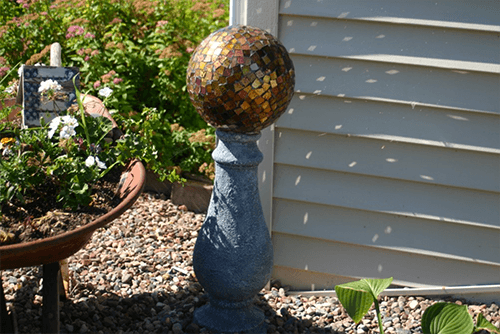 Who would have thought that an old bowling ball left from the previous homeowner would make such a nice piece of garden art. From bowling ball to broken tile gazing ball. 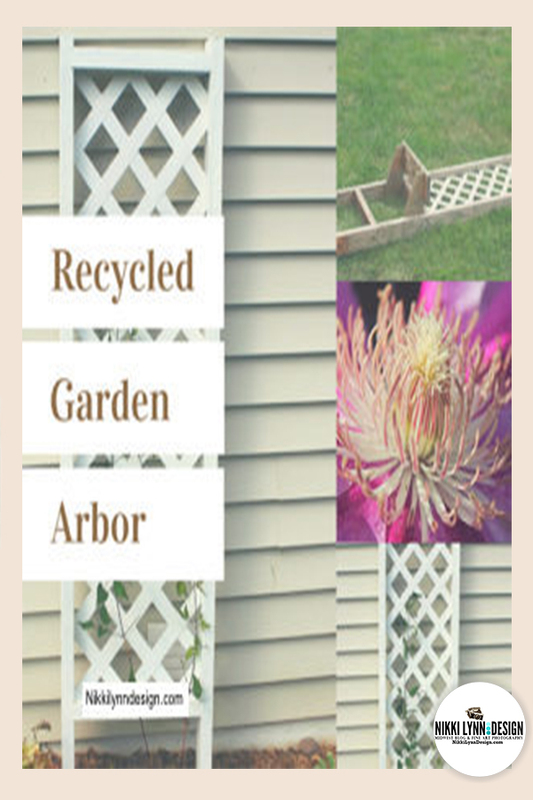 From trash to treasures – garden arbor. This wasn’t a project that I was originally going to blog about. Partly, because I am a closet, garbage picker and thrift store shopper. Sorry, I like to do it. Why I feel the need to apologize for my actions – actually irks me somewhat. 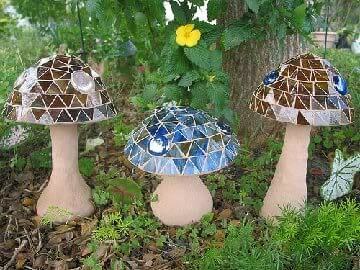 You have seen them at all the craft fairs and garden centers, huge leaf shaped birdbaths and stepping stones. 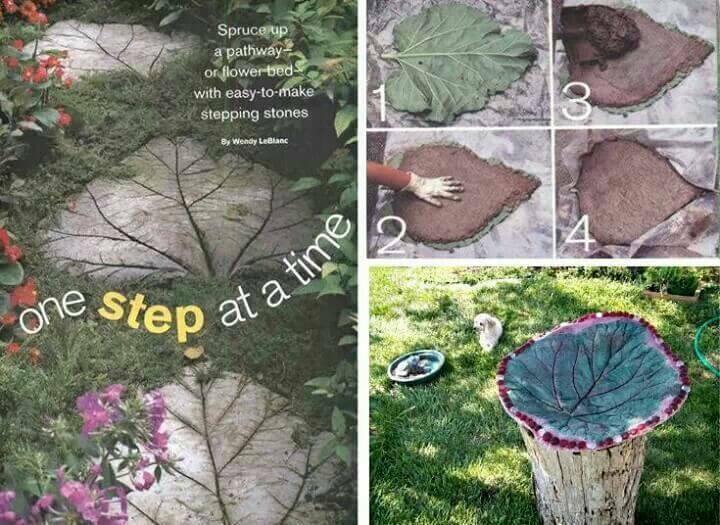 Learn how to make rhubarb leaf stepping stones. Simple digging into soil, will turn this from a stepping stone into a bird bath. Garden Ideas Using Concrete Blocks – Simple and affordable way to make a concrete block bench. The bench design uses the wall of a garage as a backrest. Add two layers of concrete blocks as your bench base and dress up your bench with bright pillows and custom cushions. 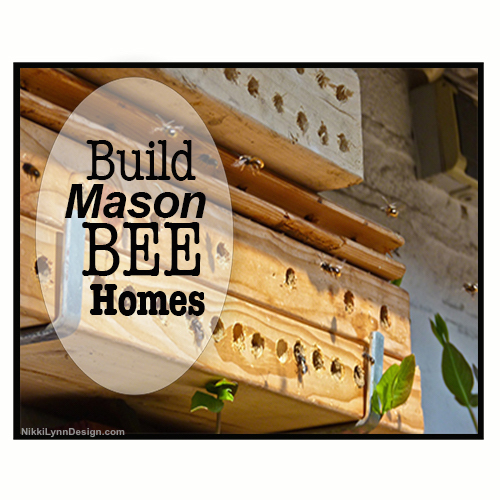 Attract Mason bees by building homes. A Mason bee pollinates early spring orchards, flowers and berry canes for about a 4 week period. They collect nectar and pollen to line their nests and thus, in doing so; are pollinating all our spring following plants. My daughter and I have been experimenting with making natural dyes from berries and plants the past few days to dye clothing. 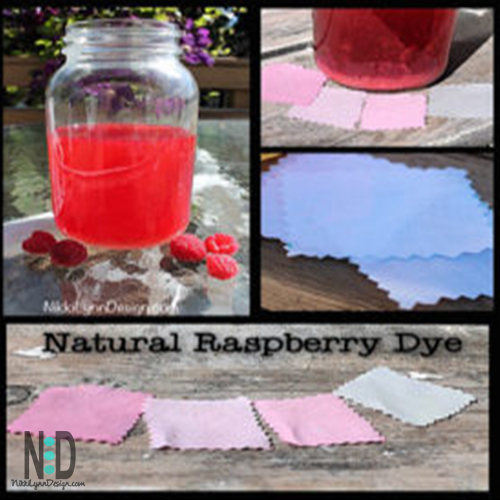 We decided to do a few color samples by dyeing cotton using raspberries. 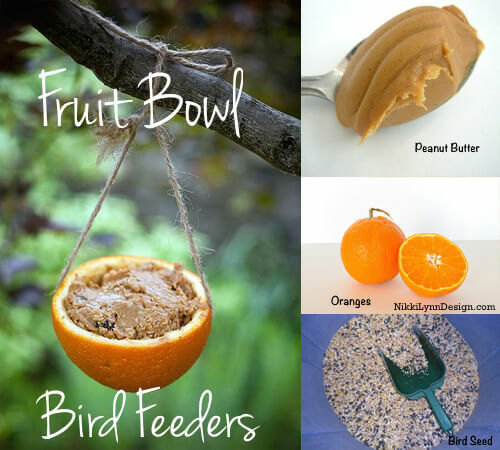 Save your orange and grapefruit halves to make fruit bowl bird feeders for the birds.